3 More Game Reviews for RobloxGo - Tough Games! Fight other players in Counter-Blox: Roblox Offensive, enjoy battling and collecting Pokemon in Pokemon Brick Bronze or have fun playing a variety of mini-games in Ripull Minigames! Depending on your current mood and personal preferences, we've got 3 brand new game reviews for you to check out... games that perhaps you may be interested to play. 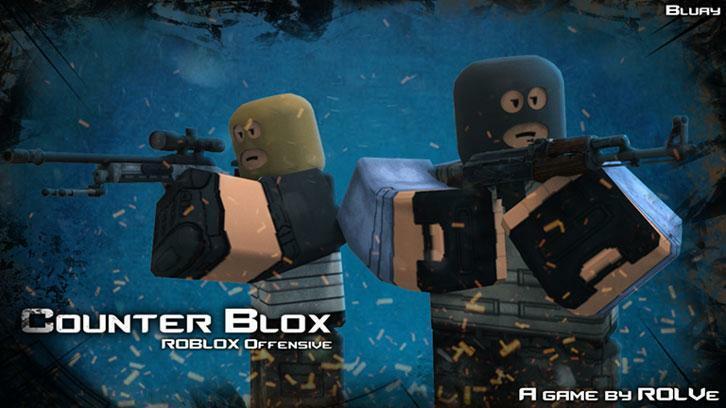 Featuring a gameplay (and even some maps) that closely resemble popular MMOFPS game, Counter Strike, Counter-Blox: Roblox Offensive is a game that will you some adrenaline-churning action as you work with your team to plant or defuse bombs, rescue hostages or simply to eliminate the other team. Considering the tons of fun games on Roblox, it's a tall feat to snag the "Game of the Year" title in the recent 2016 Bloxy Award... and that's exactly what Pokemon Brick Bronze. managed to do! With over 700 Pokemon to catch and collect, other players to battle, a whole new adventure to experience, and gyms to conquer, you'll definitely catch the "gotta catch 'em all" bug that had plagued us all back when Pokemon Go was first released. Looking for something more casual? Well, why not have some fun playing mini-games at Ripull Minigames! With so many challenging mini-games to offer and an arena that's open for all to spectate, you'll have a smashing good time here with your friends. Have some free time on your hands? Simply pick any one of these games and hop right in! Oh, and don't forget to drop by RobloxGo if you want to look for more fun Roblox games to play. We've got all the Roblox game lists and charts that you'll ever need!